Palette 9 has 100 fonts (60 new), name drop feature, wizards, editing, 14x14 inch field, Photo Stitch, Auto Punch, control 4 machines. 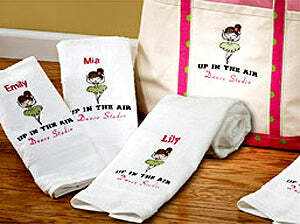 Baby Lock ECS9 Palette 9 Embroidery Software. Palette 9 includes many features to make the production of even the largest projects fast and simple, with professional results. 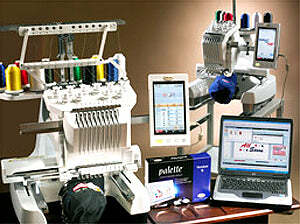 Several Baby Lock multi-needle machines can be linked to Palette 9 at once, allowing you to send designs directly and monitor the progress of multiple projects from your computer - perfect for businesses. Baby Lock Palette 9 Key Features. Create designs manually or with drawing tools using the Four-stage Design Center. Edit True Type fonts or create your own with the Font Creator, perfect for personal gifts or business-minded embroidery. Includes 100 built-in fonts for every type of project, including 2 monogram fonts and 5 small fonts. 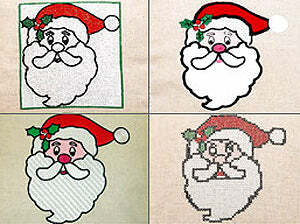 Rely on Four Wizards for photo stitch, cross stitch, appliqué and embroidery designs. Effortlessly merge fonts and designs to give every design a one-of-a-kind touch. The Name Drop feature lets you easily swap names and numbers in and out of designs such as team or business logos - Use up to 500 names. Control and monitor multiple machines at once by linking up to 4 machines to Palette 9. 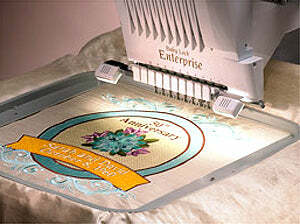 Perfect for businesses; compatible with Enterprise (BNT10) and upgraded Embroidery Professional Plus (BMP9) machines. Embroider On 14x14 Inch Jumbo Hoop. 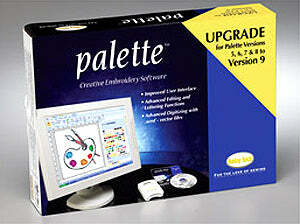 Upgrade Your Current Palette 5, 6, 7 or 8 Software to Palette 9. Exciting new features listed below. 60 new fonts including monograms for 100 total. View designs in detail with Realistic Preview, and work within Preview for easy editing. 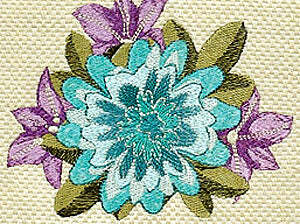 Additional stitch variations like floral patterns, echo quilting, candle wicking, and a hand-look stem stitch. Upgraded Photo stitch and Auto Punch Wizards, with the ability to add satin outlines. Create designs with shorter jump stitches and less trims - great for multiples. The Name Drop feature lets you easily swap names and numbers in and out of designs such as team or business logos. Split and create large designs for the Enterprise by using the optional 14 inch x 14 inch Hoop! Baby Lock Palette 9 Specifications. View hoop sizes for single and multi-needle machines for perfect design positioning in every hoop. Control length of jump stitches for quicker production and ease when creating smaller, lettered designs. Instantly digitize vector .wmf files Design custom fill, stamp and motif patterns and increase creativity with the Programmable Stitch Creator. Enjoy creative stitch variations such as candlewicking and a hand-look stem stitch. 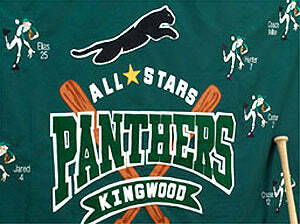 Use the Sewing Attribute to change colors, density and text features, ensuring flawless embroidering and production. 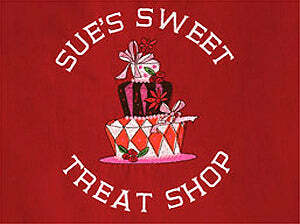 Change thread color or sewing order for faster, error-free embroidery. Watch designs sew on screen with the Sewing Simulator, so you can stitch with confidence. Add extra flair to designs with quick mirroring, circular copy, floral patterns or offset lines to create an echo quilting effect. Create templates for frequently-used designs. IBM-PC or compatible computer with Pentium IV or higher. Windows XP, Windows Vista, Windows 7 (32 or 64 bit operating system). Minimum 512MB (1GB or more is recommended). Monitor: XGA (1024 x 768), 16 bit color or higher. Printer: A graphic printer that is supported by your system (if you wish to print your images). CD-ROM Drive: Required for installation. Internet access required for upgrade. Baby Lock Palette 9 Information.